Nothing is more of an automatic purchase for me than Bernie Worrell music. He is simply one of the most gifted dudes ever to lay fingers on a synthesizer, clavinet, Hammond B3, electric piano or baby grand. I’ll buy any track he ever played on. The SociaLybrium album “For You - For Us - For All” is digitally available at iTunes, Amazon, eMusic and other fine MP3 retailers. It’s all instrumentals, and the album hasn’t really grown on me. Frankly, the compositions won’t burn any houses down. But I’m streaming a couple of tracks on my Vox blog... so my fellow P-Funk fans can know what’s happening. Click here to hear “Glory Story,” with Bernie rocking the organ. 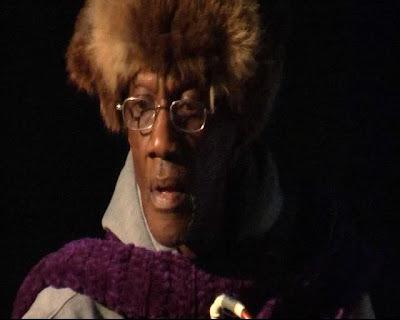 “He-Then Holiday” is a sick showcase for Melvin Gibbs, with Mr. Worrell providing swirls of color. Click here to listen. It’s a gift to humanity that Bernie is doing his thing to a ripe old age. Or were y'all onto SociaLybrium already?